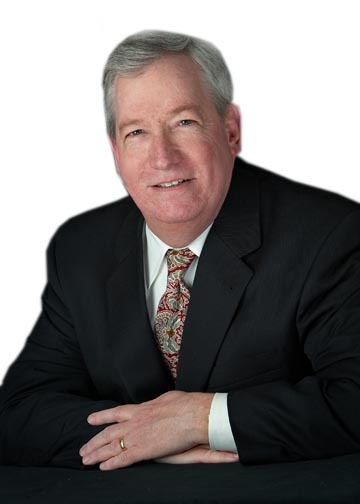 Staff – RFL Communications, Inc.
Bob Lederer, Editor, Publisher and Founder of RFL Communications, Inc.
Bob Lederer incorporated RFL Communications in September 1994. He is the Editor and Publisher of RFL Communications’ four market research industry newsletters. Lederer joined Keller Publishing in 1974, becoming Editor and Associate Publisher of Beverage World Magazine by 1979. In 1983, he moved to Royal Crown Cola Co., serving as Assistant to the President and later Brand Manager and National Accounts Manager. From mid-1985 to 1986, Lederer served as National Accounts Manager for The NutraSweet Co. At Actmedia, from 1987 to 1992, he eclipsed sales records within the business’ promotion products. In 1993, he started Marketplace Solutions, an in-store couponing and sampling company which was sold to Sunflower Co. in 1994. Lederer is credited with helping the research industry take a fresh look and action against long-standing industry problems. In 2006, he conceived and spearheaded “The Research Industry Summit: Improving Respondent Cooperation,” which led to renewed industry respondent cooperation efforts and inspired a broad review of research industry online data quality. RFL Communications’ unorthodox data quality initiative was client-driven and MR vendor-supported. RFL’s September 2007 “Client Summit on Research Data Quality” induced immediate data quality action on multiple fronts. In 2008, RFL’s “Road to the Client Congress and Client Congress on Research Data Quality” generated the first documentation about problems with online data quality and myriad potential solutions. In September 2008, RFL Communications’ published “ Platforms for Online Data Quality,” the first MR industry document with specific recommended considerations, questions and actions for research clients who want to improve their internal data quality.This booklet was created through the input of more than 50 research vendors/suppliers and the oversight of better than 50 client researchers. In February 2012, Lederer revolutionized research industry news delivery with the introduction of Research Business DAILY Report, the first daily MR news video highlighting research innovation news, insights and commentary. Lederer received a B.A. in Political Science from the State University of New York at Stony Brook. Jo Anne Nathan has been an Associate Editor at RFL Communications since October 2010. Previously, she was a Director at the American Hospital Association and a Consultant for the Blue Cross and Blue Shield Association. Nathan received a B.A. in Sociology from the University of Illinois at Urbana-Champaign and a Master’s in Public Health from Johns Hopkins University. Nikki is a spirited and intuitive qualitative specialist who translates her passion for understanding people into strategic insight. Although she is experienced in both traditional and contemporary approaches, she has focused largely on combining ethnographic and digital techniques in a cross-cultural context, as a result of her years spent in the US and as an expat living in Paris. She has written and presented on the power of language and culture within a research context, the use of Emotional Intelligence as an insight asset, and has challenged conventional incentive approaches as means of motivating participants. Nikki earned her B.S. in Communications (with an advertising concentration) at Endicott College.